Let's talk the letter X for a moment, shall we? Because we all know, it is not the most utilized letter in the alphabet. In fact, sometimes, this poor letter seems to be downright ignored. But you can't blame folks. I mean, X usually gets put at the end of words, or somewhere in the middle. So finding activities to work with it can be tricky. This is EXACTLY why Glimmercat Education decided to offer a packet full of ideas and activities for free. 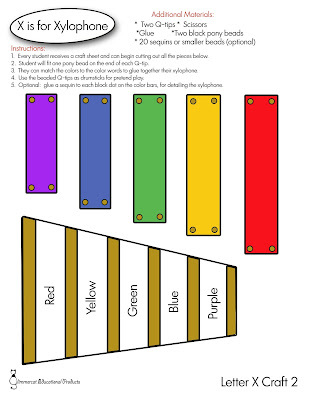 Not only do we have crafts related to the letter X (an X-ray craft, an xylophone, the ever popular X-ray fish, and creating your very own boX), but we also include a fun Dot-to-Dot, an "X marks the spot" color by letter treasure map, and lesson plans if you wish to try these activities out in a Letter of the Week styled program. We also recommend some lovely picture books, "Christina Katerina and the Box" by Patricia Lee Gauch and "Not a Box" by Antoinette Portis. With this picture, we introduce the letter X, the sound of X and X-rays all at the same time! 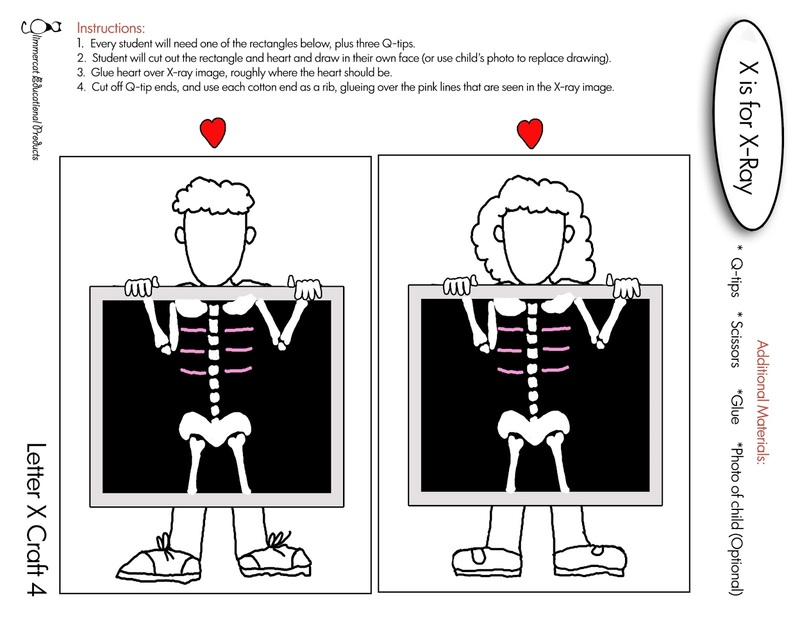 We pretend that our friendly character Glimmercat discovers an X-Ray machine and when the machine takes her X-ray (Xxxx!) she here's the X sound (Xxxx!). Of course, it is super important to put a lot of fun emphasis on the Xxxx! when you say it. And with this X-citing introduction to a variety of words containing the letter X, we can begin some of the delightful letter X crafts, like the Xylophone. 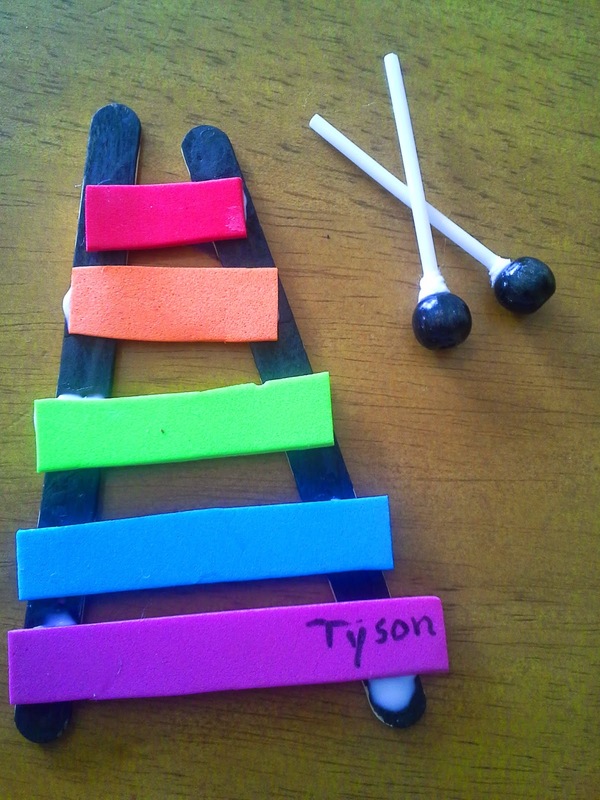 So although, I love the Xylophone Craft that we did before, using popsicle sticks and colored foam, you can't exactly print it out. 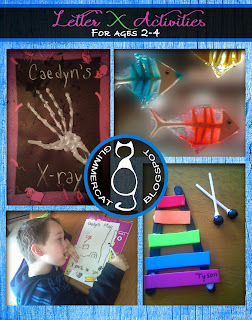 I'm still going to leave these photos here, because I think if you can do this craft with the foam, it was a lot of fun for my kiddos. 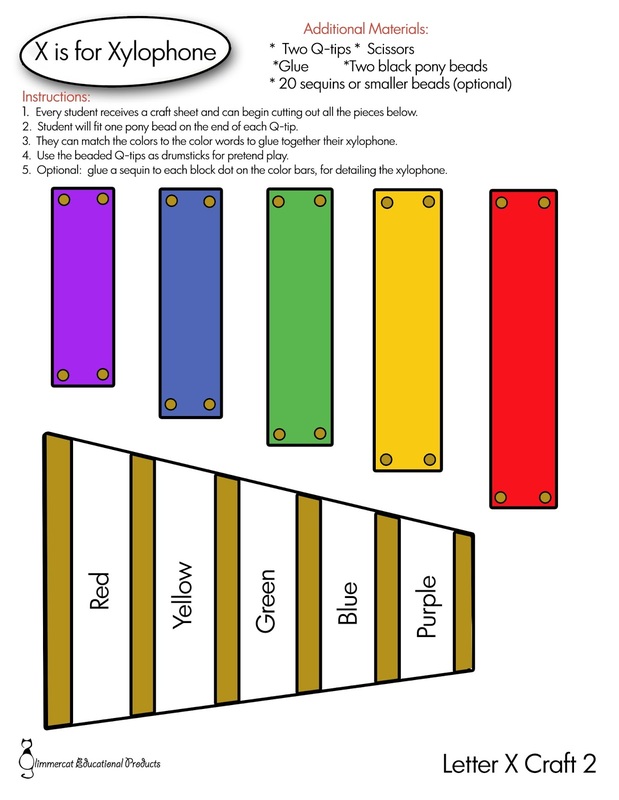 It was a great craft for discussing colors, different sizes, "longest" and "shortest", and putting things in order, small to large. 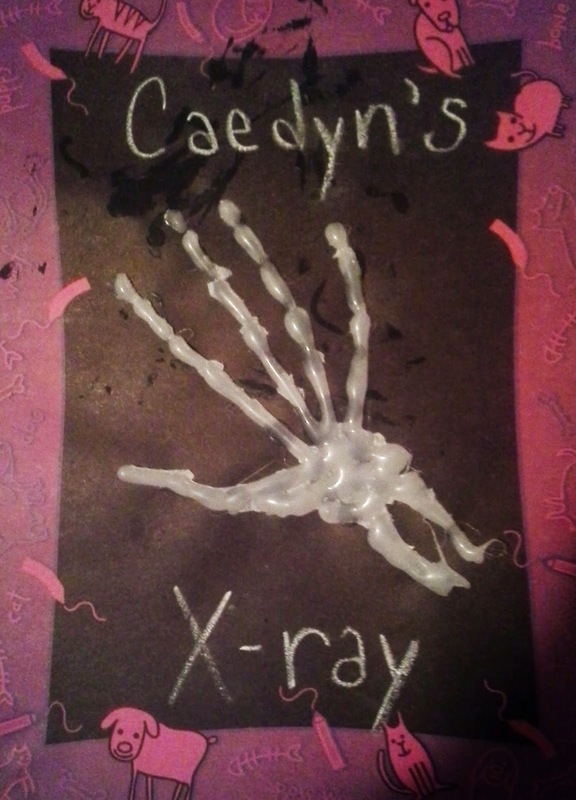 So, for the classic X-ray craft, last time we traced little hands on wax paper and then used hot glue to recreate the "bones". 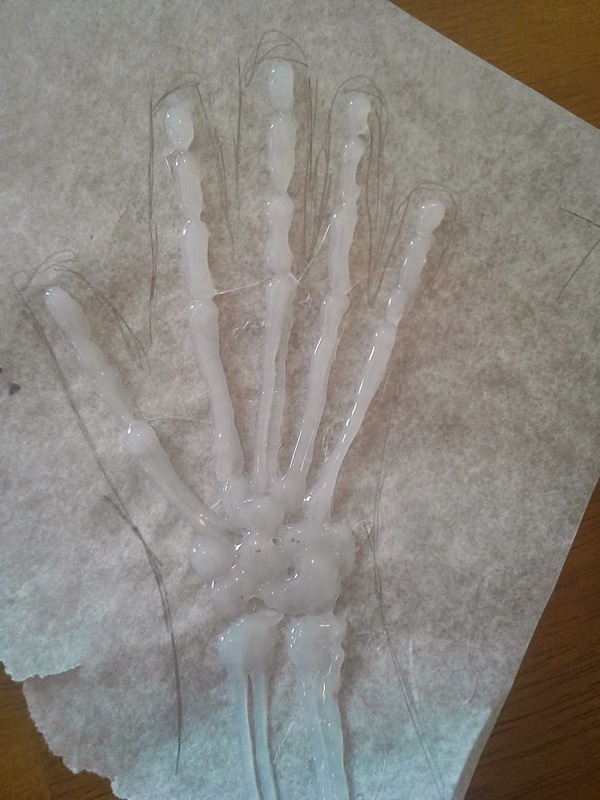 I wielded the glue gun, but after the glue cooled, the kids were able to peel their "bones" right off and then glue it to the black paper. 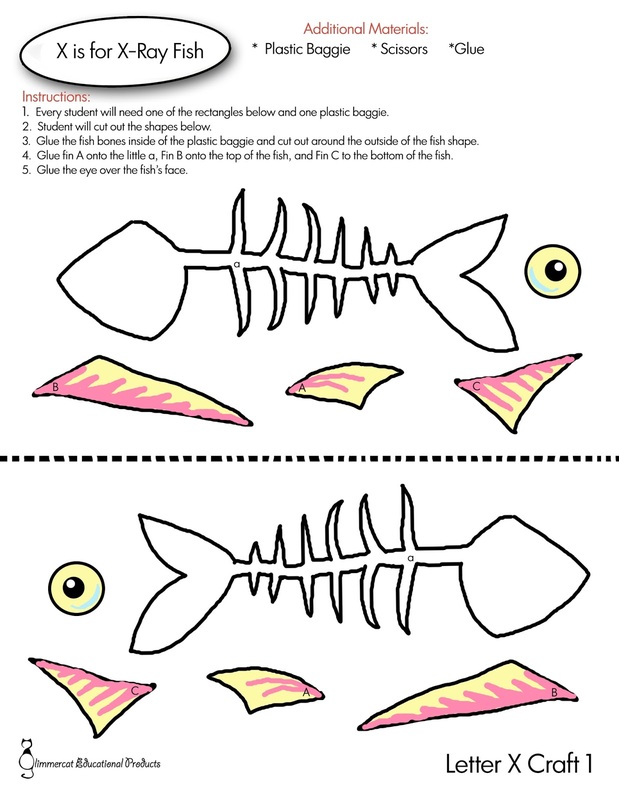 Or your child can draw in the face and then add the small Q-tip pieces and the little heart. 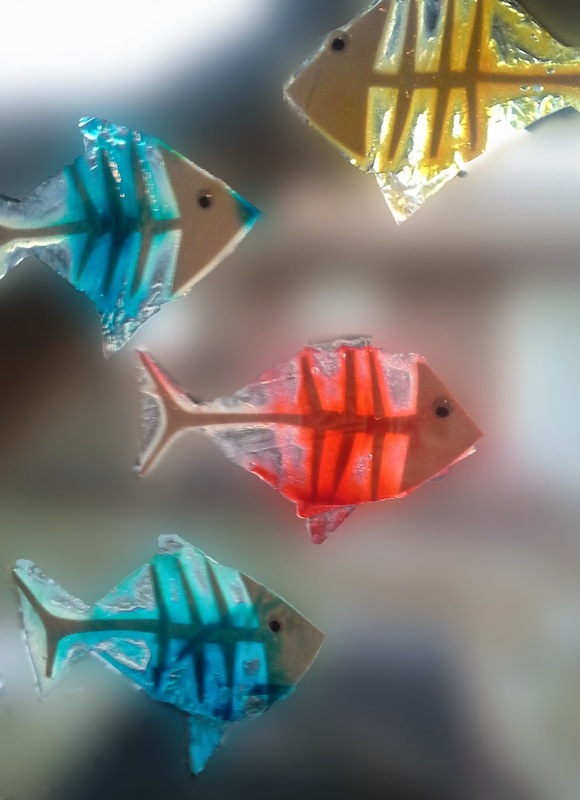 Then, there was our X-ray fish that we made last time using glue and food dye to color their insides. Here was the problem we ran into with this one: it took so long for the glue to dry in the air-tight baggy that it was a tricky craft to complete in one day. Which isn't always practical. But they turned out so cool! 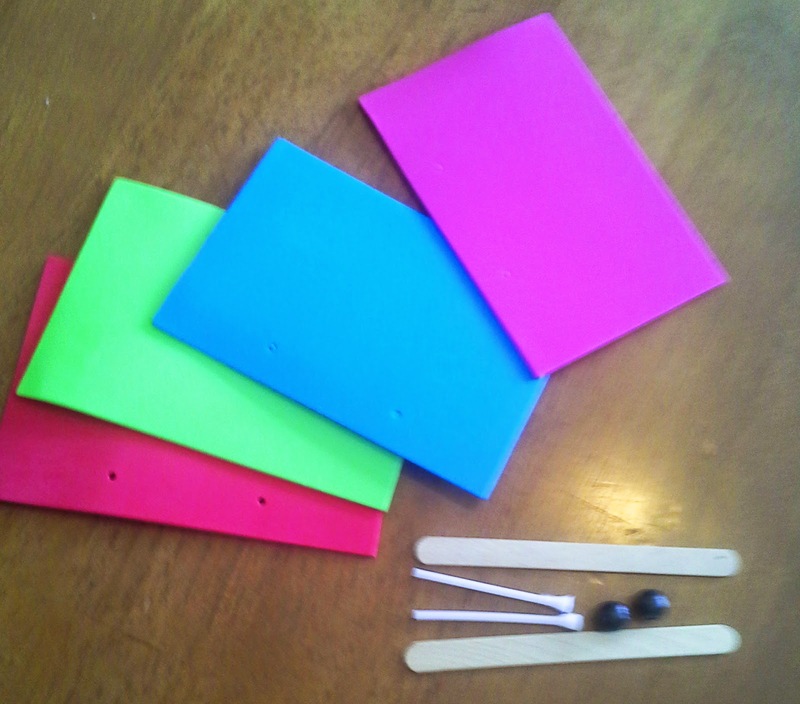 The "bones" were just white foam cutouts (like the foam squares we used in the xylophone, but white instead. 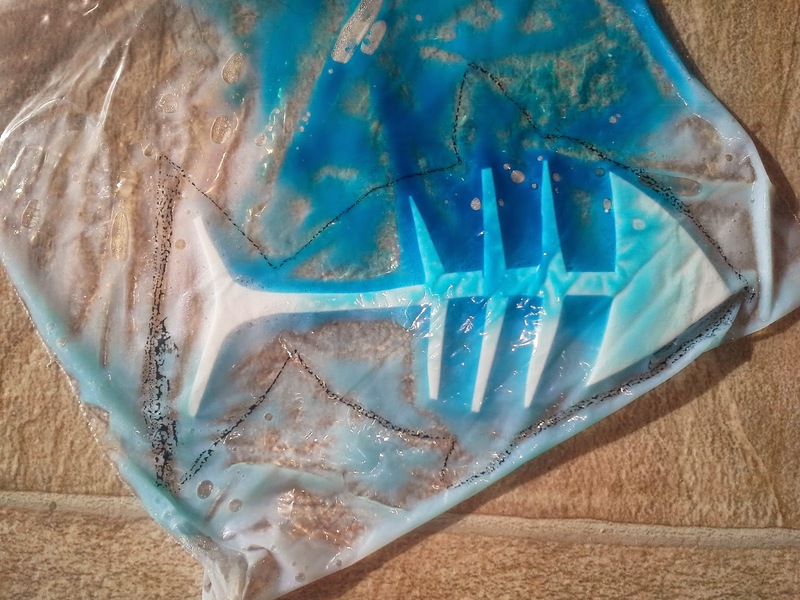 We tucked our fishy bones inside the sealing plastic bag, too. 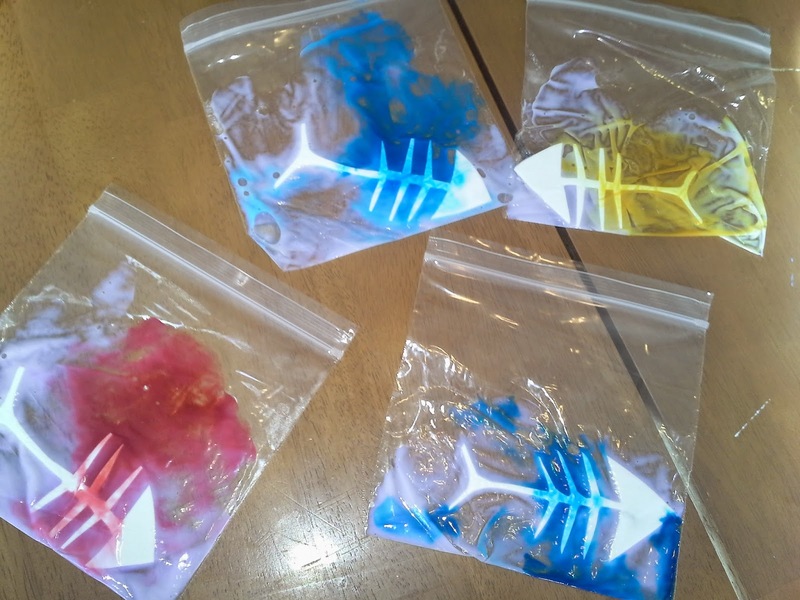 Since it is just paper, we didn't add colored glue to the inside of the baggies. 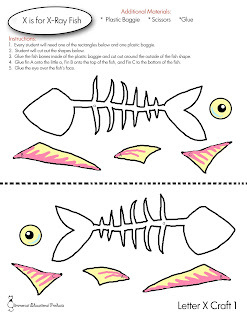 We glued the fishy skeleton inside the baggie, and added the other parts to the outside with glue. And we discovered such a fun book for our Reading Literacy Page! 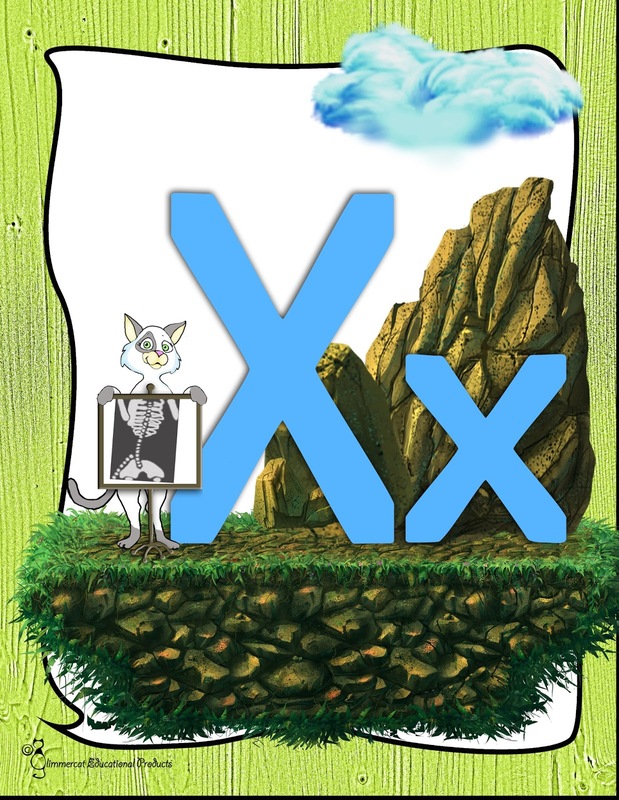 Now, the letter X being what it is, there aren't a whole lot of children's books that begin with X. 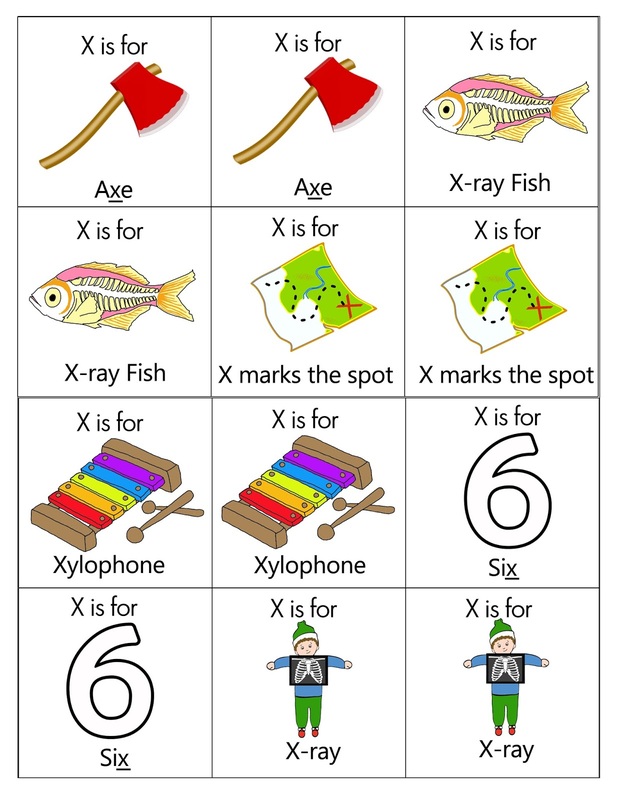 But, there are some useful words that include x in them, and so we made the most of the word "Box" and focused on the X at the end of the word. 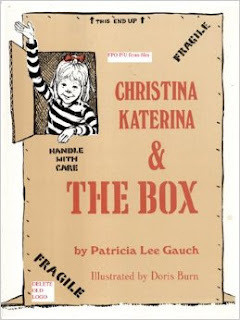 And thinking in this direction, we snagged this amazing book called "Christina Katerina and the Box". 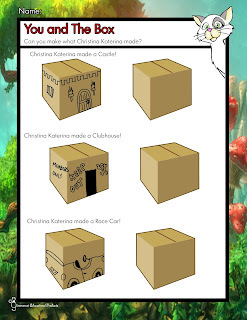 AND for our last craft, my son created a Box of his own with our printable Box and decorated it all himself. 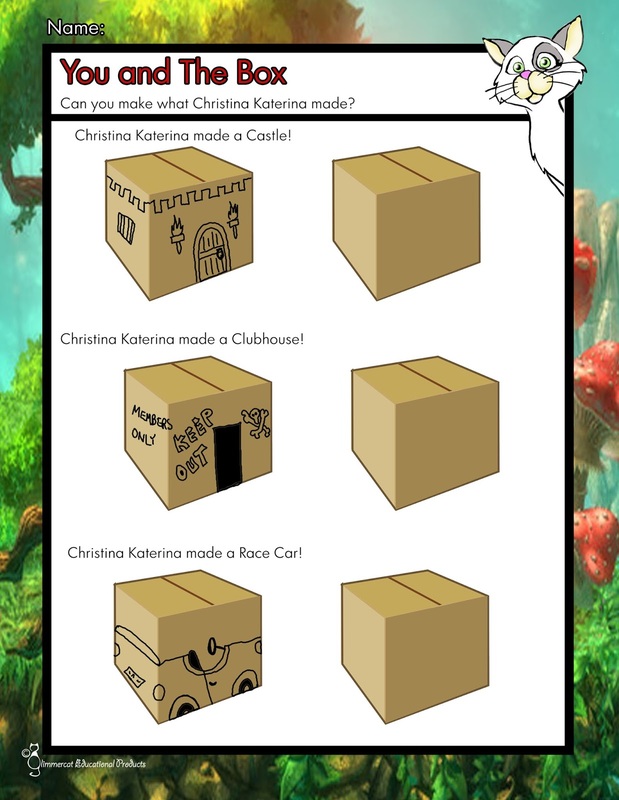 Because that's what boxes are really for, as every child knows, especially Christina Katerina.